Lightly toast the bread slices and keep aside. 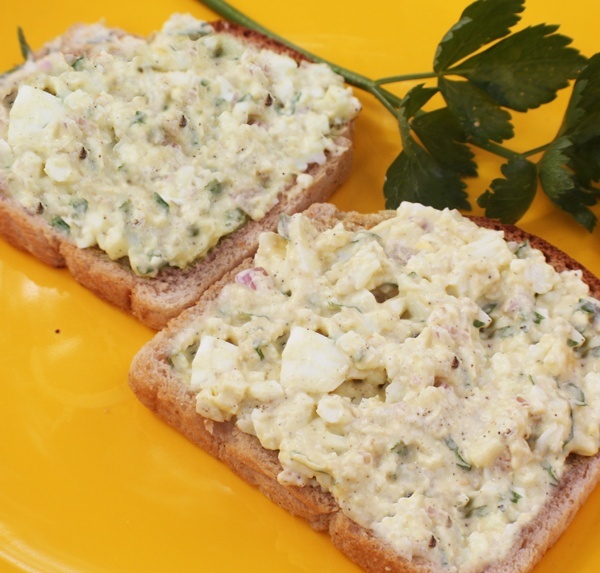 Mix all the ingredients for the egg salad and layer it on the toasted bread . Top with a slice of cheese (optional). This entry was posted in Egg and tagged Egg Salad by Kamakshi. Bookmark the permalink.